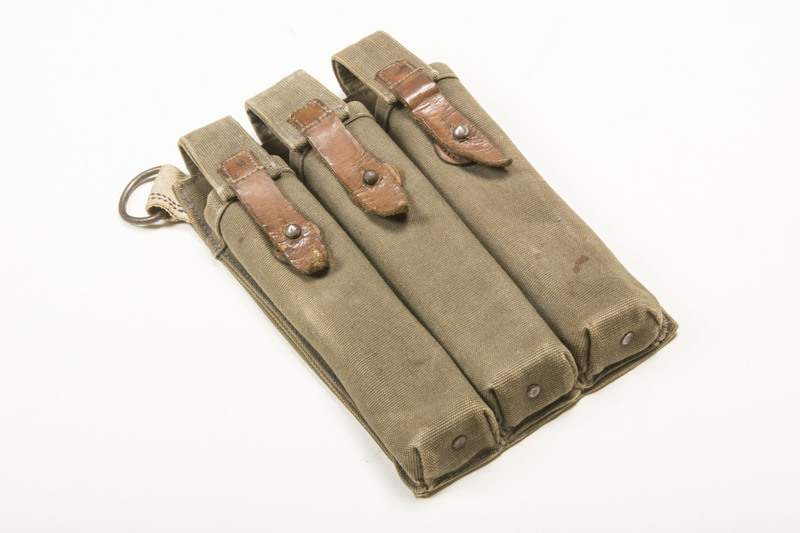 Super rare first pattern MP38 magazine pouch in light used condition. 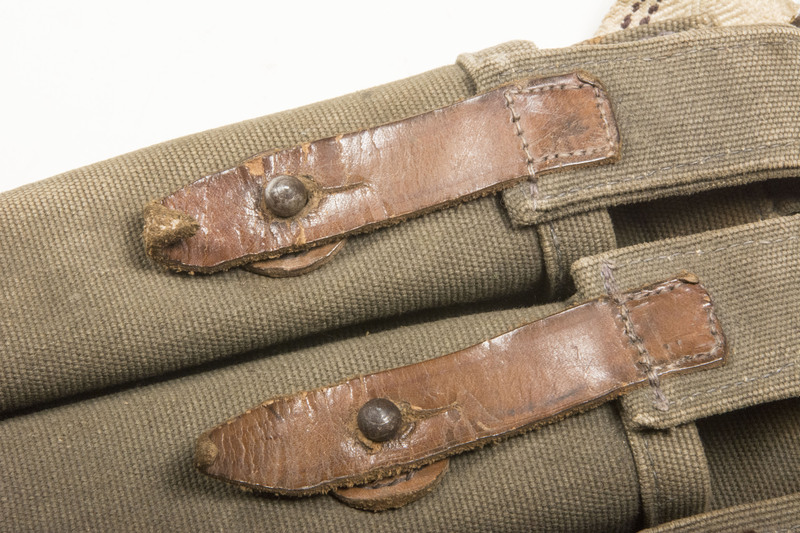 This first pattern pouch was made prior to 1940. 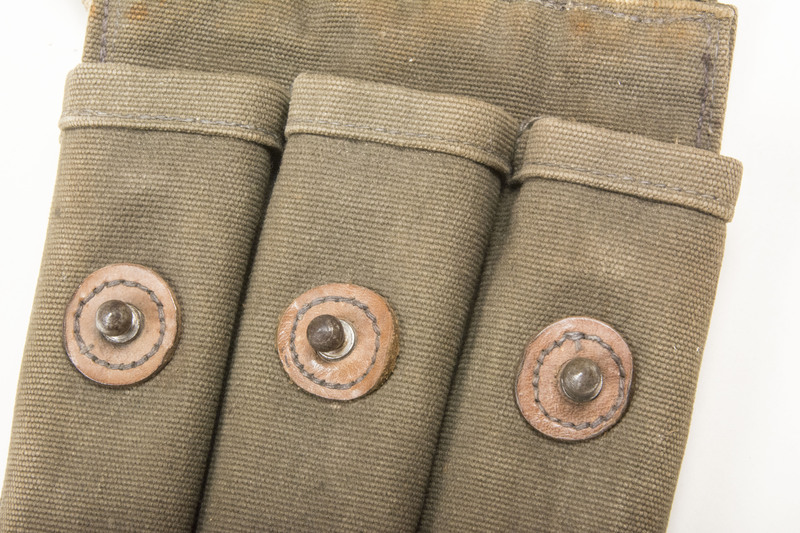 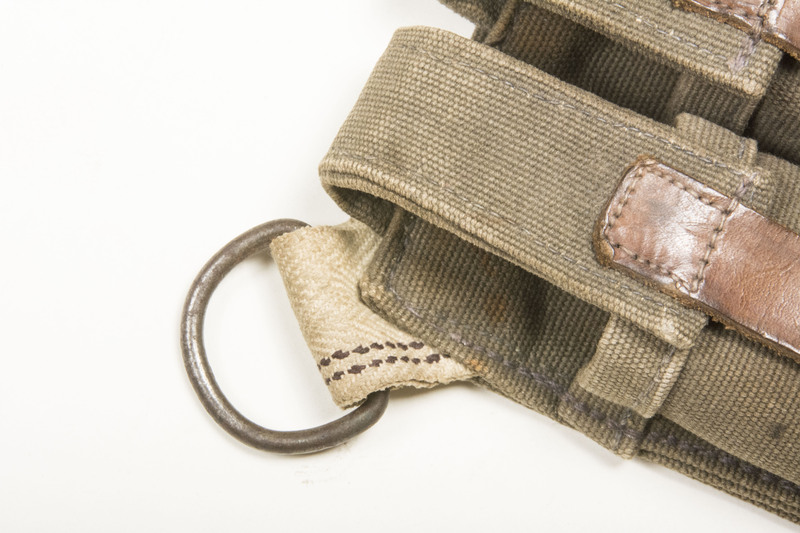 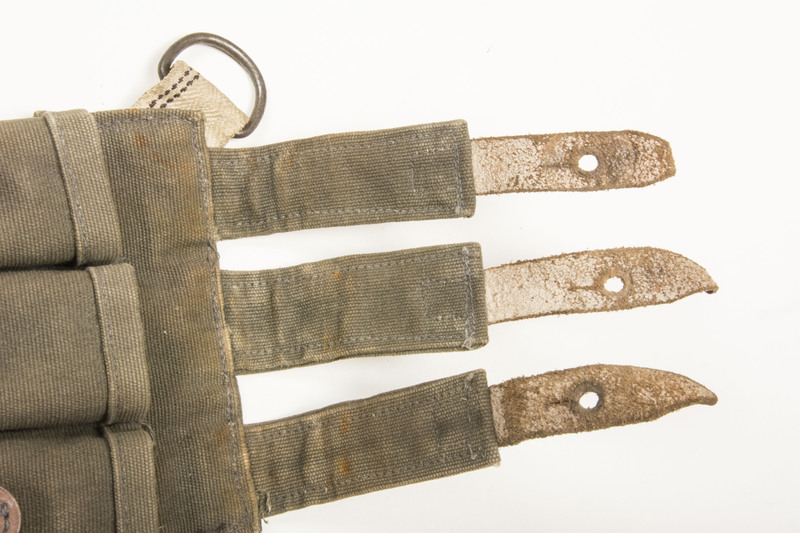 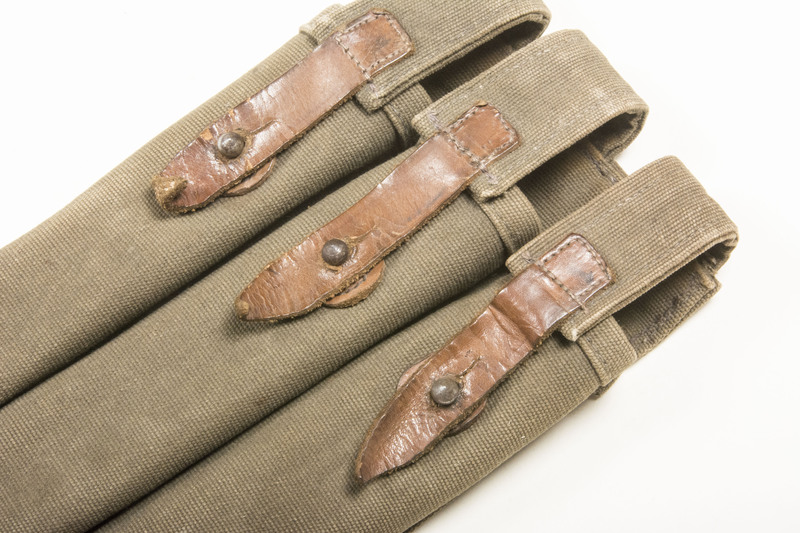 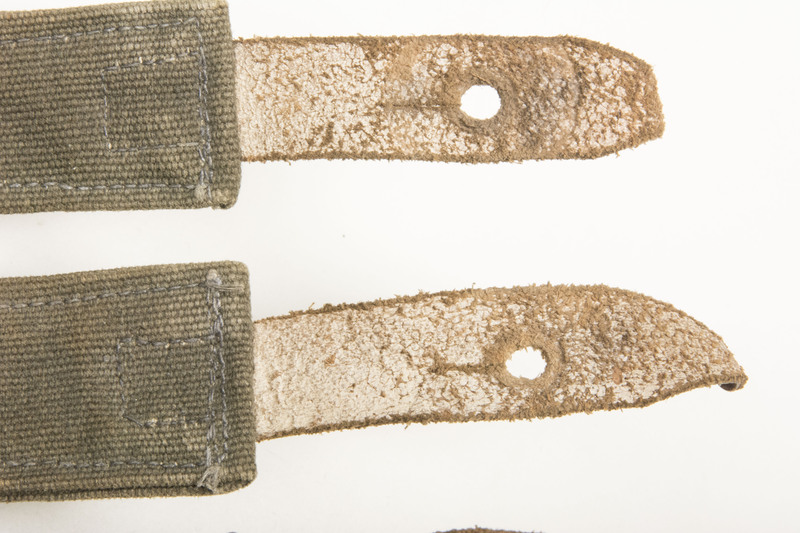 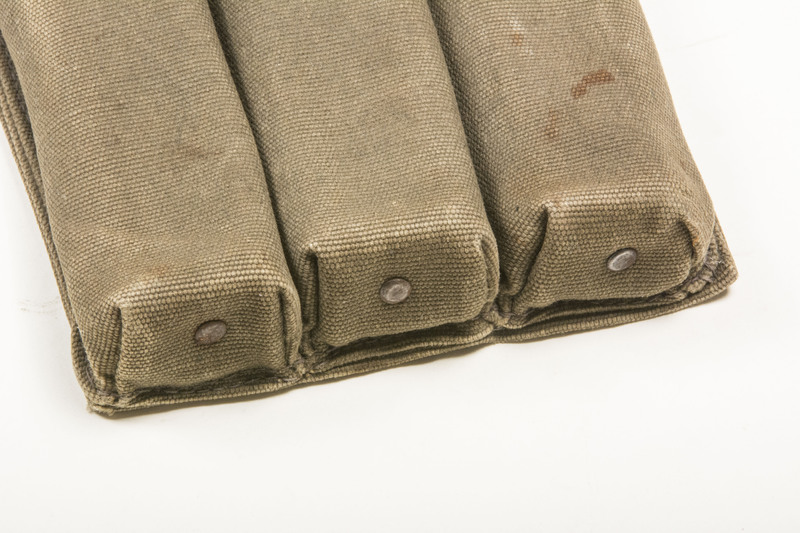 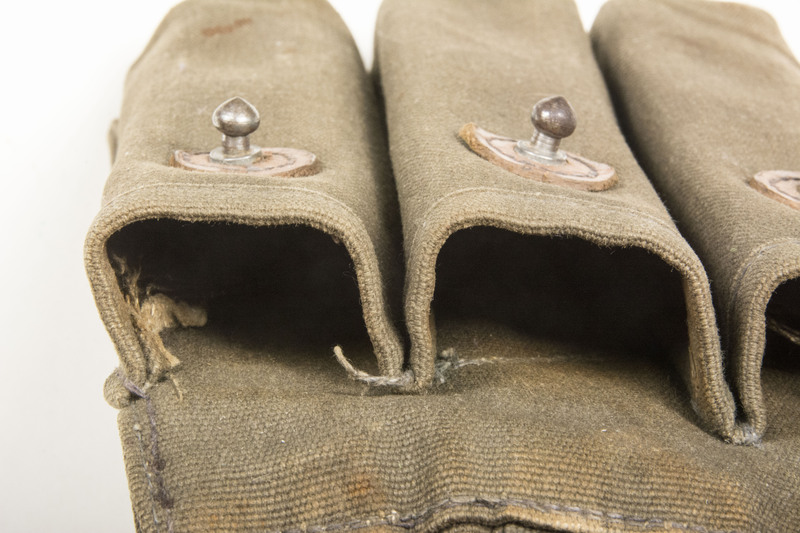 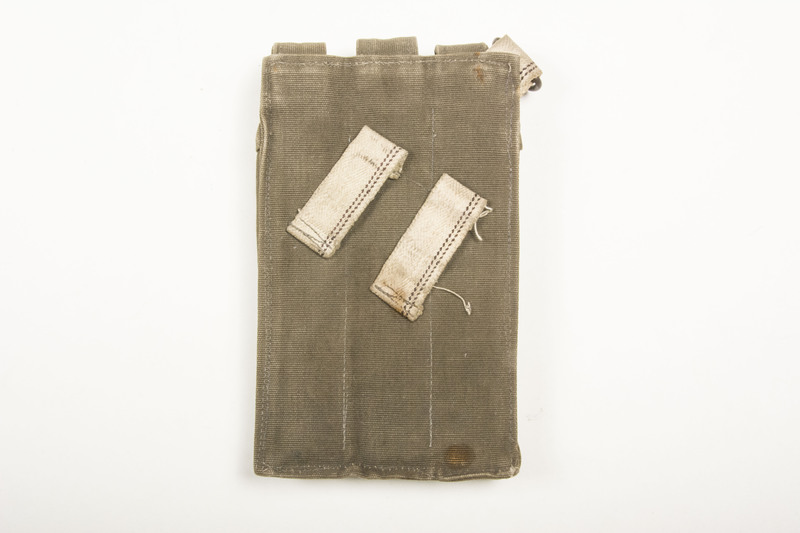 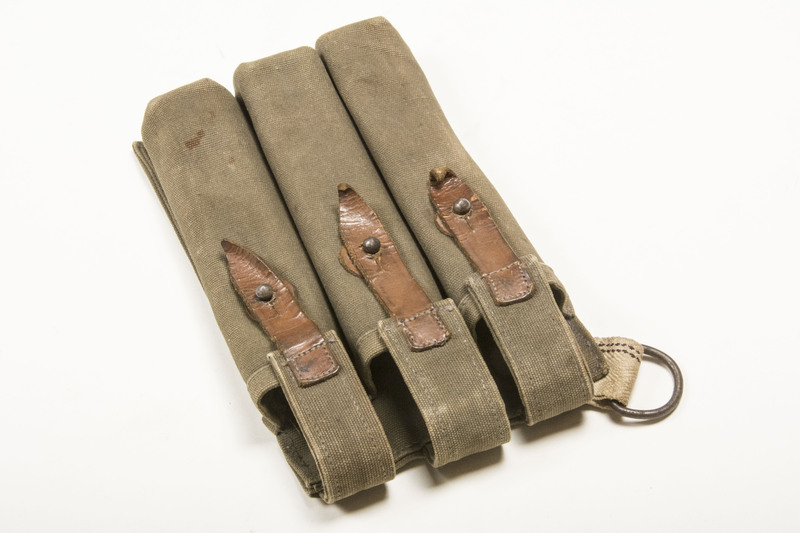 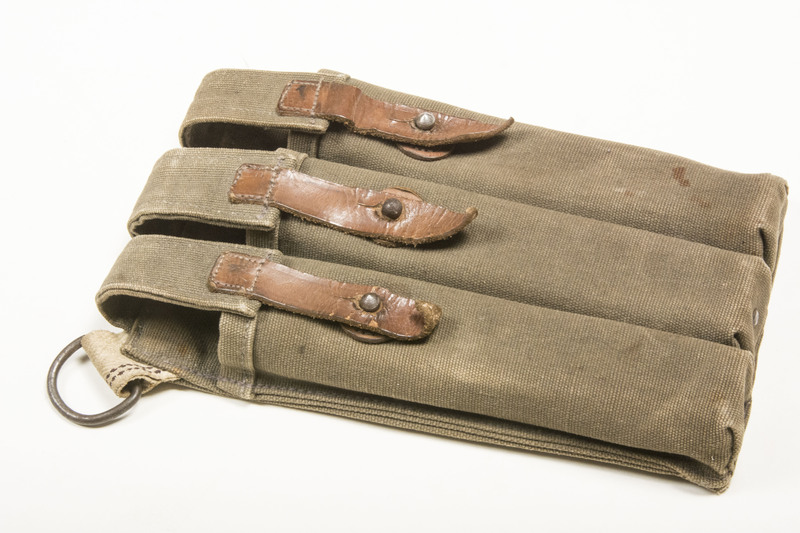 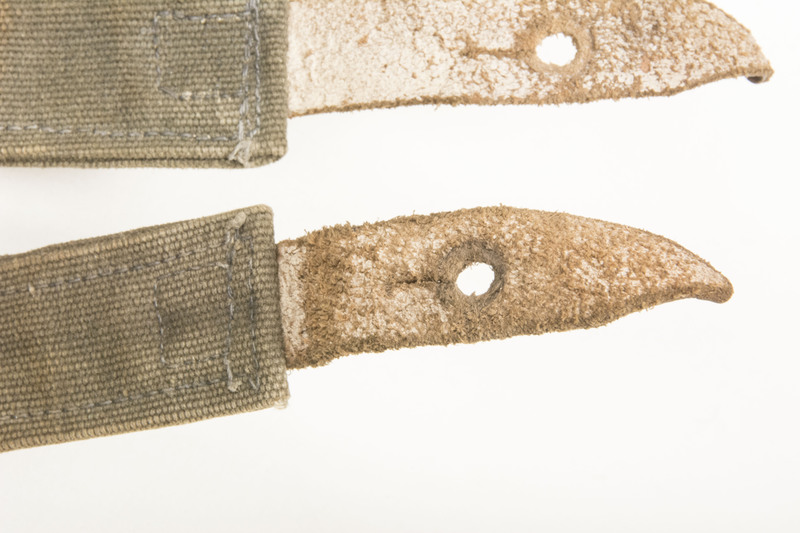 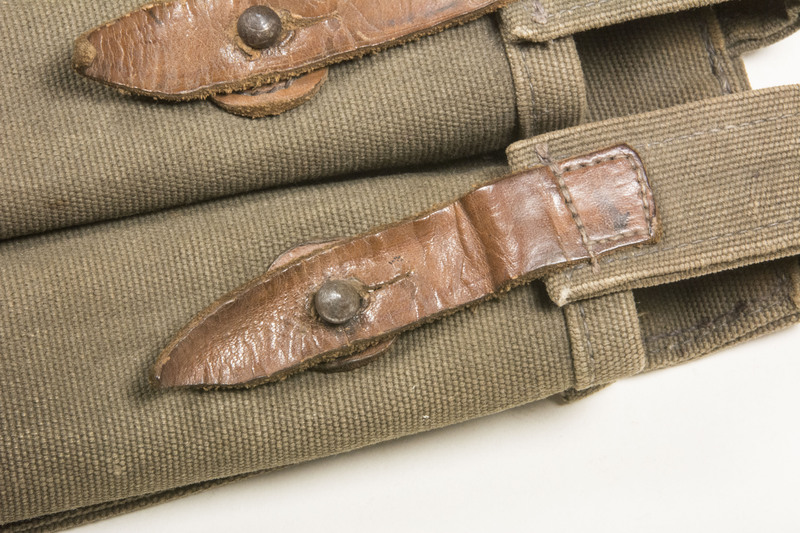 Interesting and typical to the construction of these pouches is the white webbing ammunition belt material used for the belt loops and D-ring. 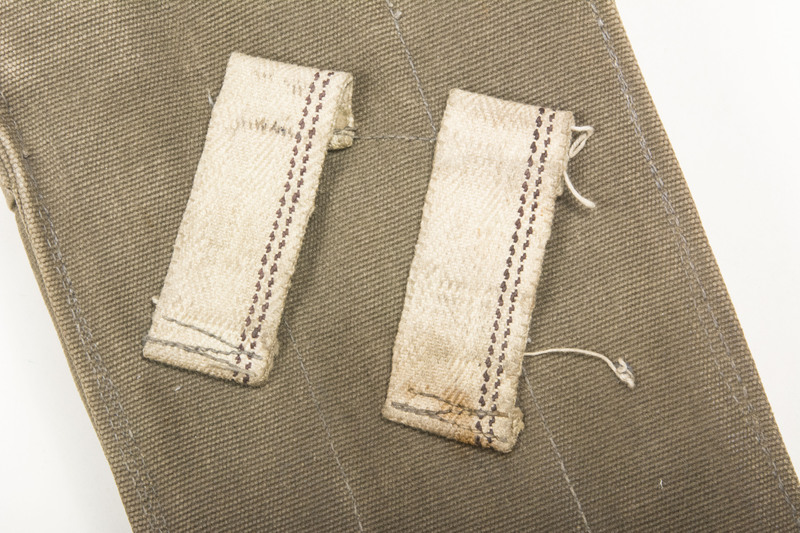 The pouch is extremely scarce to find, especially in this good, undamaged condition. 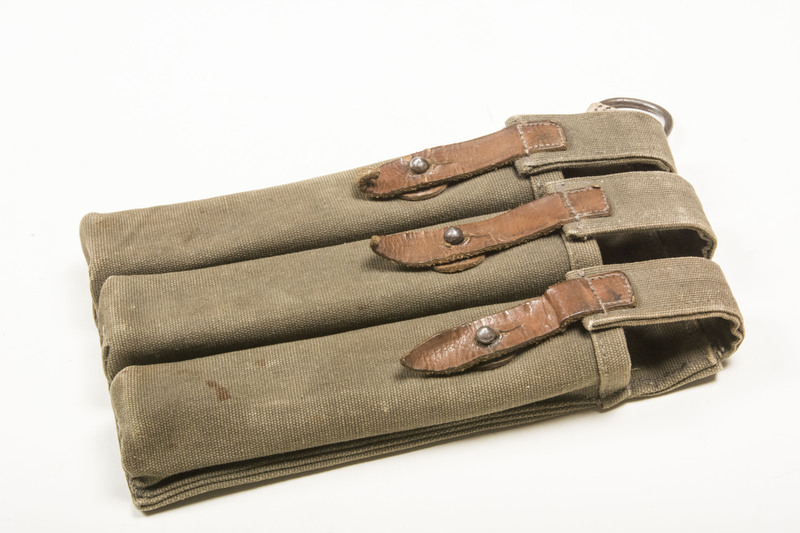 These pouches are seen typically with Fallschirmjäger along with the 6 cell variant of these pouches. 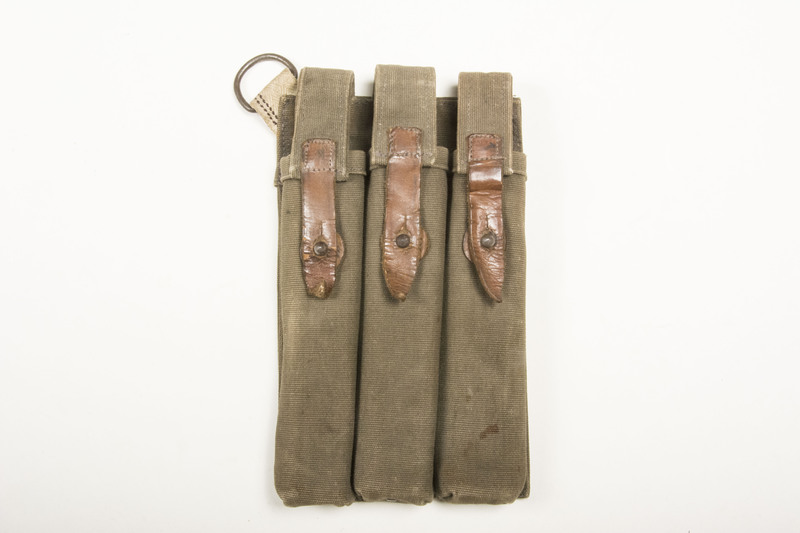 For sure the rarest type of MP38 magazine pouch in very good lightly used but undamaged condition!